I just love all of the creative ways Brides are asking their Maids these days, and so on this nice little Monday morning, I thought I would share with you how I asked my girls! I have always loved scrap booking, so I knew I wanted to hand-make them a card! I also knew I wanted my girls to be able to pick out their own dress, in hopes that they would wear it again someday. The only stipulation I had, was that it was to be knee length. I nailed down the colors I wanted, and I went to a local paint store to pick out some free color swatches. I made them a little swatch of their own with all of the colors they could choose from, and they were to keep it in their purse, so that whenever they went out dress shopping, they would have it on them. I feel like the end result was fantastic! All of the dresses blended perfectly together! They were all different, and beautiful. It was exactly how I envisioned it would be. 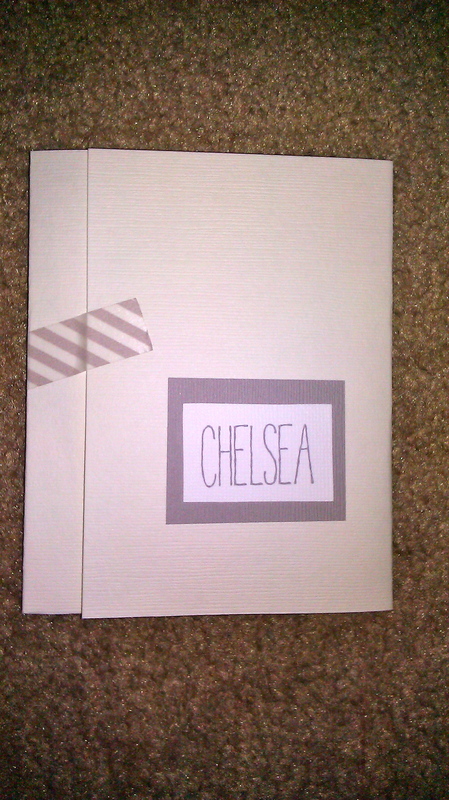 Each Bridesmaid loved their card I made them, and loved the fact that they got to pick out their own dress!